Schärer, as the company known as “PANArt”. PANArt Hang were produced from the year 2000, to 2013, when PANArt announced the retirement of the Hang, and their intention to work on new projects. Which would come to include the Gubal, and other instruments made of their patented material known as “Pang”. Around 2007 the first “Hang inspired instruments” began to hit the market. Counting among them the Caisa, the BElls, the Halo, the Bali, and the Spacedrum. And at time of writing, just sixteen years after the birth of the Hang, and three years after its retirement, we have added the names of well over one hundred Handpan makers, to our Handpan makers list. And we continue to discover and add new makers frequently. 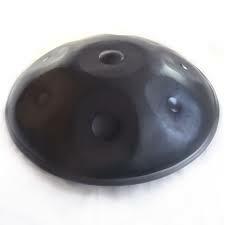 Where Can I Buy a Handpan? It is widely believed that the best way to purchase a Handpan, when and if possible, is directly from the maker. So if you haven’t already, we encourage you to wade through our list of makers, including the “more” section (because with so many Handpan makers having appeared in recent times, we haven’t yet gotten around to creating proper pages for many of the newer makers). , ETSY, and Amazon. In the past these platforms have mainly dealt with the sales of used /secondhand Handpan, and “prototype” instruments (of varying quality), but with more and more makers appearing on the scene, makers of various levels are beginning to turn to platforms such as these to gain the competitive edge, and increased exposure they bring - as supply begins to balance out with demand. So whether for used, or new Handpan, it can be worth taking a look to see what's out there. 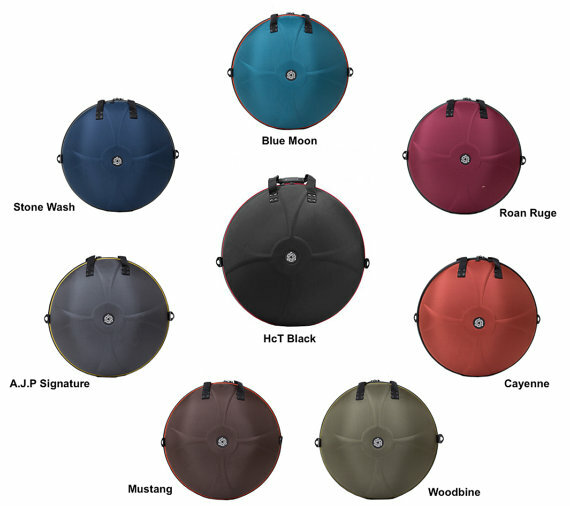 Which Handpan Should I Buy? All Handpan players and fanatics have their own personal favourites, and in addition to researching the offerings of different makers, one of the most important aspects a person searching for their first Handpan should probably take into consideration, are different "sound-models". And In terms of researching different makes, and sound-models further, we’ve always found YouTube, and a decent pair of headphones/speakers to be our most reliable, and unbiased friend in the search for a suitable Handpan. And at this point in time there are hundreds of thousands of Handpan videos over on the platform, uploaded by makers and players both. So it’s worth investing at least a little time exploring the different options available to you, to get some idea of what kind of sound you might be looking for. How Much Does a Handpan Cost? While ultimately any given Handpan costs what it costs, in the current climate, other than rare items (such as original PANArt Hang) sold at auction, and other exceptional Handpan, you should expect to pay somewhere between $1000-$3000 for your instrument (as a general guideline). And as a side note, when considering the overall cost of purchasing a Handpan, particularly from a country or union other than that in which you reside, you’ll want to calculate in possible delivery costs, import duty, and taxes to your purchasing budget. As these can add to the total cost considerably. While it’s not always the case (no pun intended), if your Handpan is being shipped, many makers will insist that alongside your Handpan, a protective case is also purchased. And while this obviously again adds to the overall cost of obtaining a Handpan, if you are unable to collect your instrument in person, they do make for a worthwhile investment. And a Handpan case always makes for a recommended purchase regardless - because despite being hammered from steel, Handpan are surprisingly fragile instruments, and any knock, or prang, can seriously de-tune your Handpan. So in general, a protective case should be considered to be a necessity, rather than a luxury (though it should be noted at this point that for long term storage, keeping a Handpan in a closed/zipped-up bag/case is widely considered to be a bad idea, as humidity build-up often leads to increased oxidation/rusting). Other than a protective case of some kind, the only other necessary bit of kit you’ll need for your Handpan (assuming that your Handpan is not built from Stainless Steel - which some are these days), is some kind of rust-prevention treatment. The majority of Handpan can, will, and do rust, if left to their own devices. But the occasional application of a substance such as FrogLube, or Ballistol (two proven Handpan anti-rust treatments) should keep your instrument in tip-top condition.